The Chinese people believes that Pu erh tea has greater and really effective health benefits than other teas available. Puer tea goes through a very special and unique fermentation process that makes it very beneficial to the digestive system, or Spleen as we describe it in Chinese Medicine. Many people in the chinese culture have a very weak digestion and excess weight and the tea has everything to do with food and drink that create “internal dampness” in the body. In Chinese medicine list, “dampness” refers to the buildup of negative or sluggish energy in the body that results due to the consumption of excessive processed foods or sugars or dairy or alcohol and other substances that slow down digestion and nutrient assimilation. Puer tea has the ability to reduce this internal dampness by invigorating the Spleen to a great level and the Stomach to work in harmony, aiding proper digestion and elimination. 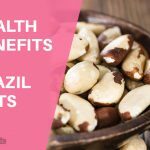 It is often used medicinally to lower cholesterol, remove toxins from the body, cure dysentery, induce weight loss, improve eyesight and promote blood circulation. This tea may also help to fight SARS. The tea aids digestion, promotes bowel regularity. Yuanpei University, Taiwan Study has all the prove of the written bowel results. The tea also provides fluoride for teeth to fight cavities. The tea is the best solution and helps prevent bad breath. Soothes and helps prevent stress. According to a Chinese book reading, drinking Pu-Erh tea regularly has tremendous beauty benefits. If you’ve tasted Pu-Erh tea, you probably won’t mind trying it out for yourself for a regular intake and experience the results yourself. It’s an exquisite full-flavored tea that is really very smooth and somewhat earthy. It’s one of those tea that is not at all bitter even when the leaves have been steeped for a long while. I’ll even say it’s one of the better Chinese tea I’ve tasted. Definitely much better than Oolong tea! The tea is really high in antioxidants. Pu-erh tea is made from the leaves and stems of the Camellia sinensis plant. According tomany readings , Pu-Erh is superb and really great for weight loss, anti-aging and cutting grease. Pu Erh as an ingredient that has freckle-removing of unwanted substances, has skin moisturizing properties, menstruation-regulating and dampness eliminating effects. It also contains lots of vitamin C, vitamin E and vitamin B2. You will be really amazed with the light and pleasant scent. The tea itself makes a great drink after a heavy meal. This tea can also be used as a toner to increase hydration of the body or skin. Pu-Erh tea makes a great facial toner too. Immediately after rinsing your face with the tea, you need to pat and press the tea drops onto your skin and then quickly seal in the hydration with a facial oil or serum while your skin is still damp. I can’t say if it has made your skin any better but you will like using it a lot. But what you will found is that it has helped to ease off greasiness from your scalp and that’s something you must be grateful for. Compared to the other types of hair rinses that you have tried, this is relatively easier to make and use daily. However, one teaspoon of leaves is sufficient for a cup and you can steep them using an empty tea bag that can be purchased from the supermarket or Daiso. Alternatively, you can use a strainer too. Acne pu erh tea is a good detoxifier, diuretic, stimulant and antioxidant. These four properties make it a great treatment for acne. Before we know how it treats acne, we must know what causes it. Acne typically arises during the teenage years, when the body undergoes many physiological and hormonal changes. 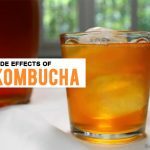 The flood of new hormones that bring about the changes in the body must be regulated, but if they don’t remain at a healthy ratio, they tend to deposit somewhat toxic substances into the body and this tea is an awesome way to detoxify the impurity. These toxins tend to come out along with sweat through the sweat glands or sebaceous glands on the skin by having a regular intake. The pu erh tea also widen the pores. pu erh tea also help to facilitate the removal of toxins through sweat and urine. Furthermore, pu erh tea, if externally applied to areas with acne can stop microbial infection and reduce the frustrating signs of acne and patches. Also, it can speed up healing due to its vitamin-C content, so the scars and ugly red inflammation that traditionally follows acne treatment will be less noticeable. Weight Loss can also be done with the help of this tea as our urine consists of up to 4-5% fat, so the more we urinate the more we lose as more water and fats are lost from the body. Pu her thereby being diuretic in nature freely promotes high urination and thereby helps lose the dreaded “water weight” without causing any side effects. Furthermore, pu erh are low in calories, like most leafy greens have the least, but for the small expense of calories (~1oo cal./4 cups), you get a huge amount of beneficial side effects. 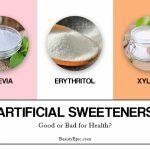 This is one of the reason that why pu erh are sometimes used as sweeteners, because they are not packed with unhealthy or overloaded sugars. Cancer like diseases can also be cured from pu erh and are high in antioxidants, such as vitamin-C and Luteolin, this richness will reduce the free radicals (major cancer-causing agents) in the body, thereby reducing the risk of cancer from the root. Pu erh tea also helps to detoxify the body from the dirt. It also helps further helps to protect from the development of tumors and various cancers. This is one of the most important benefit which is been provided by the tea. Luteolin is actually a very poisons but essential components of cancer cells when it binds to them thereby rendering them ineffective and unable to reproduce. This characteristic have also been demonstrated the most notably with prostate cancer, although there are many other studies being done. Jaundice is also been cured by this tea. Jaundice is primarily a disorder of the liver and as written above liver remain healthy by the intake of this tea. We can also see that there is excess bile in the body that is also reflected through color of the skin, and eyes. The skin color is typically develop a by yellow tint. The treatment of jaundice can include three main steps. Firstly you need to curb the production of bile in the liver. Secondly you must remove the excess bile from the body by taking some external help, and thirdly you have to fight the underlying viral infection. And all this is done by pu erh tea. Gall Bladder Disorders are recovered by pu erh. These are very beneficial for the gall bladder and liver also because they improve their general functioning and helps to protect them from ill effects of oxidants and infections it also regulates the various secretions from both organs. Constipation can also be cured and relieved by this amazing tea. Certain components of pu erh, namely the high levels of dietary fiber, make it a beneficial aid for digestion and proper intestinal health. Dietary fiber stimulates healthy bowel movements by adding bulk to stool, and also reduces chances of constipation as well as diarrhea also. Anemia can also be cured by pu erh as they have relatively good levels of iron, vitamins, and protein content. As known that iron is the integral part of hemoglobin in the blood and vitamins like vitamin-B and protein are one of the essential things for the formation of red blood cells and certain other components of the blood therefore in this way pu erh can help anemic people keep their condition. High Blood Pressure can be cures by this amazing tea.as we know that, Urination is an effective way of lowering blood pressure. In fact, most of the modern medicines for lowering blood pressure are based on this phenomenon only to lower the level of blood pressure. Tea being diuretic in nature, increases the urination flow, both in quantity and frequency. Therefore, it helps lower high blood pressure in very few days. The fiber in this tea is also helpful in reducing cholesterol level also and thereby assists in lowering blood pressure also cholesterol is one of the factors that increases blood pressure. Finally, there is the high potassium content of dandelions, which is very effective in lowering blood pressure by replacing sodium. The tea can also be used as a vegetable and is a good source of fiber. It promotes good digestion, and in the past, it was used to treat scurvy because of its high levels of vitamin-C. 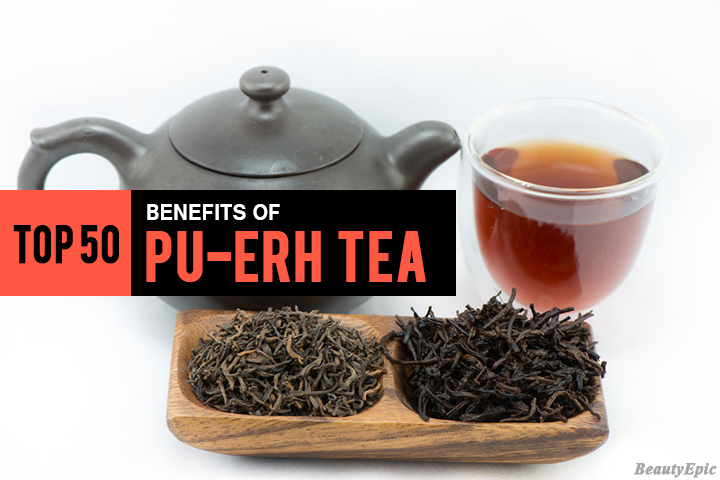 Proper Drinking Time of Pu-Erh is The Utmost Importance to Lose Weight and to get all the benefits out of it. Drinking Pu-erh tea it drank at the correct times will help you shed lots of unwanted pounds which you carry every day and thereby by helping your body to metabolize fat. If you drink Pu-erh at the wrong times it might affect you in a wrong way it is also said that it will actually cause you to gain weight instead. The recommended best time to drink a cup of Pu-erh tea for weight loss goals is just after one hour after a meal, so that the Pu-erh tea can remove excess grease and help your body to eliminate unwanted and leftover, hard-to-digest fats. However if you drink Pu-erh half about an hour or so before you eat a meal it will cause the opposite effect and can cause you to gain weight instead! 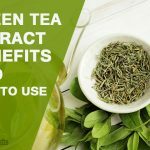 This because when you drink Pu-erh tea before a mean it clears up the fat deposits in your body and any residue in the stomach so that it actually increases your appetite to the streak, causing you to eat more. Ideally, to lose the most weight using Pu-erh tea, you should drink Pu-erh tea without adding any other Chinese tea or drinks to your diet besides Pu-erh tea as, it is really enough. If you do this the weight loss effects will be the most noticeable and effective. 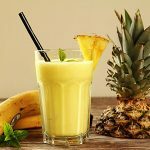 You should always tailor make your diet to your own body, and instead of trying to lose a lot of weight quickly, you should lose weight in healthy and pure way rather than using artificial substancs to it. This way will result in gradually losing weight over a longer period of time. Like many other traditional methods of weight loss, drinking a cup of Pu-erh tea to lose weight takes persistence and lot of determination as you may not see the effects immediately, but you will notice an increase in your energy levels, overall well-being and eventually, weight loss.